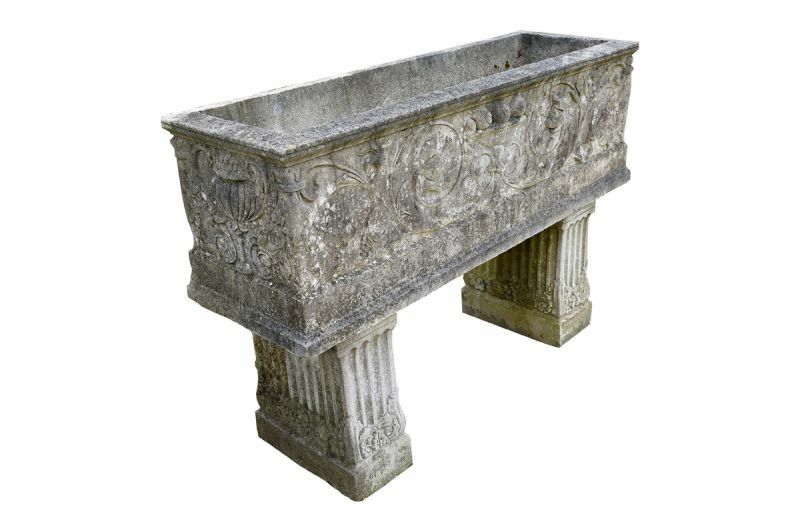 This trough is intricately carved with flowers and fruit. 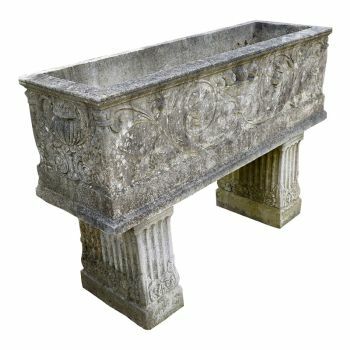 It stands on two pedestals which have stop end chamfers and carving at the bottom. A very elegant piece.